You could be releasing thousands of pieces of plastic into the ocean every time you wash your face and not even know it. Many different cosmetics and personal care products contain plastic microbeads. They’re used for exfoliation, abrasion, and even for filling wrinkles. 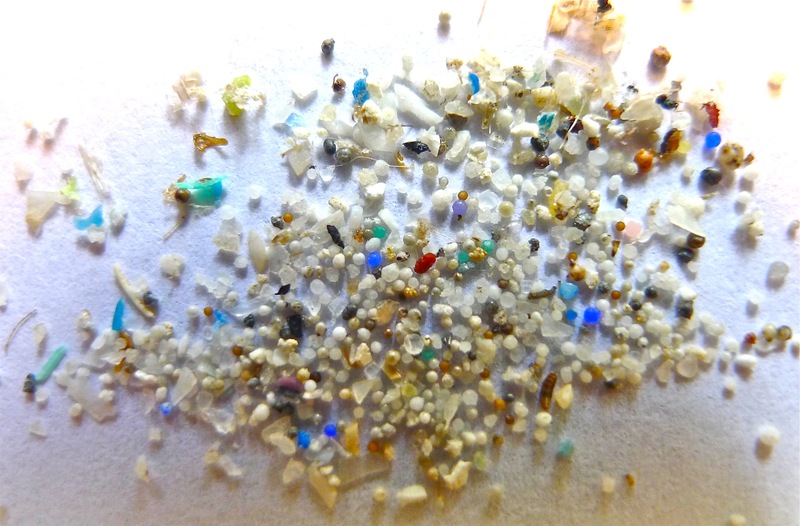 Most of these microbeads are so small they’re not filtered by water treatment facilities. This means thousands of tiny plastic pieces are traveling into our oceans. It’s time for Australia to ban the bead. Imagine the microbeads in a bottle of body wash.
Every time the body wash is used anywhere from 5,000-95,000 microbeads are washed down the drain. A United Nations Environment report states “a typical exfoliating shower gel can contain roughly as much microplastics as is used to make its plastic packaging.” That means even if you recycle the bottle the soap comes in, a bottle’s worth of plastic is still reaching the ocean. Many studies have been performed to try to figure out how long plastic stays in the ocean but it depends on the plastic. It doesn’t degrade like other molecules. Instead, plastic degrades by breaking into smaller and smaller pieces. Microbeads in soaps and cosmetics are already very small. Small enough that fish and sea birds can mistake them for food. 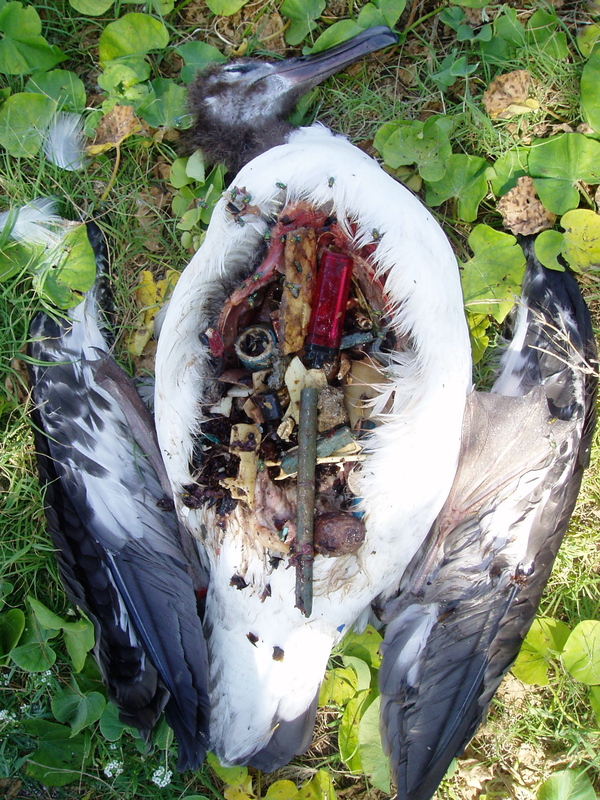 Plastic is not part of marine wildlife’s natural diet so they don’t have the ability to digest it. The plastic will sit in their stomach and keep them feeling full. They won’t eat any other food and they’ll starve. Plastic pieces will also bring chemical stabilisers and pollutants into the ocean ecosystem. These chemical compounds can make their way up the food chain from the first fish that ate them all the way up to humans. To clear all the plastic from the oceans is a huge challenge. Not only is plastic floating in the ocean but some smaller and more dense plastics have been found on the sea floor. A lot of the plastic is collecting in patches because of ocean currents. But because they’re in international waters it might be a challenge to get anyone to take responsibility to fund a clean-up. Another challenge is figuring out how to filter small pieces of microplastic without catching plankton and other small marine organisms. Without these organisms marine ecosystems will collapse. Until an Australia wide ban on microbeads is realised, it’s up to us to make good choices. The easiest way for us to help clean up the oceans is to stop plastic getting there in the first place. But it’s not too hard! 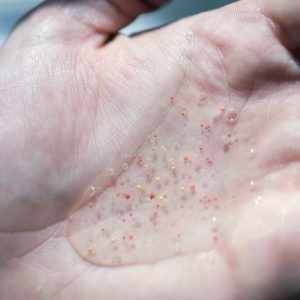 Australian companies Woolworths and Coles have promised to ban microbeads in their personal care brand from 2017 onwards. And many other Aussie brands are following suit. Search here through an amazing resource that lists what cosmetic brands around the world do and don’t contain microbeads. Don’t be afraid to flip that bottle around in the supermarket aisle to check out the ingredients. 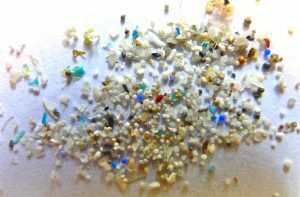 Beware of common microbead materials which include: polyethylene (PE), polypropylene (PP), polyethylene terephthalate (PET), and polymethyl methacrylate (PMMA). Ingredient lists don’t need to be filled with scary chemicals you can’t pronounce. Know what to look out for and recognise what you’re washing into the ocean. Next Next post: Persistent Pertussis: Why Won’t Whooping Cough Go Away? I first became aware of this issue after watching an episode of the most excellent tv show Please Like Me by Australia’s own Josh Thomas. I wish I’d known earlier, because I’d used many microbead-containing products! Awareness is so important, so thank you for this great read. Great article Kellen! They are so readily available and for that I’m sure most consumers have no idea how toxic they really are. There are plenty of natural exfoliating products available such as loofahs and stuff you find in your pantry like salt!! Hopefully other stores follow. Great article and great topic! I’ve been avoiding these products for years, but I feel it shouldn’t have to be our responsibility as a consumer to check ingredients. I wish all companies would just ban them already! It’s great to hear Woolies are already on board! Thanks for bringing this issue into the light! Such a great read and something that is very important too! I think we all need to become much more aware of what is in the products we use and how things like microbeads affect the environment. If more people knew how bad microbeads are, then I think they wouldn’t buy products containing them anymore. But good on coles and woolies for doing something about it!